Counseling Department / Counseling Dept. 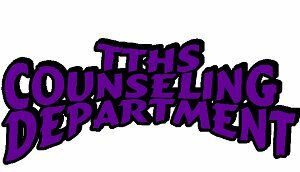 Thornton Township High School counselors will strive to provide a comprehensive developmental counseling program that promotes academic success, social/emotional growth and engages all students in on-going post high school planning and placement activities. Professional School Counselors are an intricate support to the overall academic success of our students. All students have intrinsic value. Education is a shared responsibility of the school, student, family and community. Our school counseling program is student-centered. An effective school counseling program includes and provides resources, information and support services required for academic success, social/emotional development, and career exploration that leads to appropriate post high school decision making. Welcome to The TTHS Counseling Department !!! Our mission is to serve our students and promote academic achievement, career development, and personal and social growth. The counseling team is dedicated to each student and works collaboratively with parents, teachers, staff and administration to provide a positive school atmosphere. Counselors keep a detailed record of every student’s academic progress toward graduation. Counselors give assistance in course selection and planning toward a student’s vocational and/or educational goals. Each student will have at least one individual conference with his/her counselor per academic school year to review his/her educational plan and select classes. Counselors assist students in college and vocational school selection; choosing college majors, disseminating financial aid information; and processing applications for colleges, vocational schools, and scholarship programs. Every ninth grade student is enrolled in a Orientation to Life and Careers class. This class will assist students in formulating a four year plan based on information gathered from interest inventories, career exploration and career choices. Counselors follow up on this program of study as they counsel with students throughout their high school career. Counselors are available to help students with their personal and social needs. The counselors and the school nurse are qualified to make referrals to different community service providers and to develop support groups at the high school. The counseling staff at TTHS work as a team and will assist any student as the need arises. Counselors encourage parents to be involved with their students’ education. Counselors are available to speak with parents during normal school hours and/or by special appointment. Parents are asked to call their student’s counselor for an appointment.